Tobacco use causes 6 million deaths a year, a third of those deaths from cancer, according to a report released by the American Cancer Society and World Lung Foundation. The tobacco industry is targeting countries with fewer tobacco controls and less effective public health campaigns, according to the American Cancer Society, which predicts that 72 percent of tobacco-related deaths will be in low- and middle-income countries by 2010. 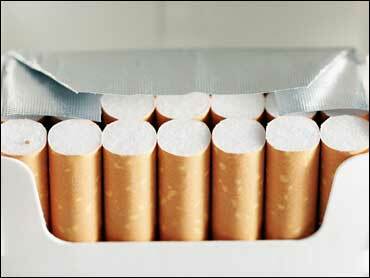 The report predicts that 2 million people will die each year from tobacco-related cancer by 2015. "The Tobacco Atlas presents compelling evidence that the health burden is shifting from richer countries to their lower-resource counterparts," said Peter Baldini, chief executive officer of the World Lung Foundation. "This evidence clearly articulates the breathtaking scope and dimensions of the problem. It calls out to be used actively in strengthening the case for policy change." The American Cancer Society estimates that the tobacco industry has caused a $500 billion loss in the global economy, citing premature deaths of smokers in their most productive years and tobacco fields taking the place of agricultural fields on nearly 4 million hectares of land. Since 1960, tobacco production has increased by three times in low- and middle-income countries. But in richer countries, production has been cut in half. The Tobacco Atlas is published by the two organizations to help develop public health strategies to reduce tobacco use worldwide.